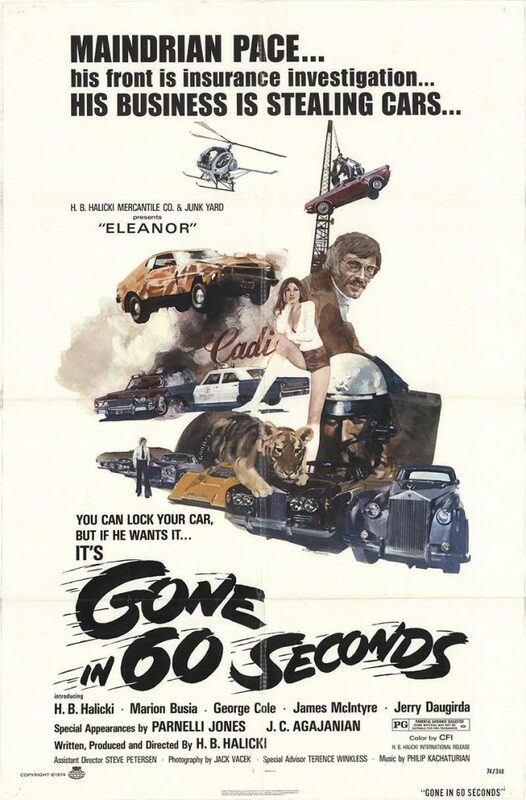 The best part of this whole movie is the 40-minute chase scene. So many cars are crashed and destroyed during the chase, including original city police cars. What’s more, the chase scene had absolutely NO special effects, meaning that all the crashes and smashes were real. Furthermore, H.B. Halicki himself wrote, directed, and starred in the movie. He even drove the “star car” (the Mustang) throughout the chase! My only negative comment about the film is that the beginning of the movie is very slow; so slow that you may be very eager to get to the 40-minute chase scene. However, if you have the DVD, you can just watch the film starting from the chase scene if you want to. Overall, this movie had an awesome chase scene. It is the best chase scene ever filmed in a movie. It has to be seen to be believed.